Samsung Galaxy S III is a successful Android mobile device of the year by Samsung due to some of its extraordinary features that are embedded into its system. This amazing device is a must have Smartphone for all those who desire to have a perfect tab, phone, or notebook in just a single electronic device. S-Voice: The new Samsung Galaxy S III came up with lot of intelligence that performs actions to help you through your daily activities. You can just ask your Smartphone to wake you on specific time, ring alarm on the time specified, or go mute to reject or answer a call. Moreover, you can ask your phone to take photo on specific time. All these interesting things are possible in this Smartphone with the help of S-Voice system that is embedded into Samsung Galaxy S III. All these new features are very easy to use so that the users feel free to use these functions whenever they want. Social tag: Keep track of your friends with the help of social tags. You can link faces from the photo album of your device and get social media updates from the main stream. You will find it interesting that you will obtain updates automatically when you look at any of your friends face in picture. Direct call: This function will say goodbye to your surfing through call log for the purpose of dialing any number. This new Smartphone will dial number for you when you want to make a call. Samsung Galaxy S III is having a direct call sense tech that will dial number for your calls. Thus, for calling, you just have to put your Smartphone closer to your ear. Smart Alert: This feature will make you aware of those things that you have missed when you are not close to your phone. When you pick up your device, it will provide a vibrating nudge that will make you aware of those things that you have missed. This is an interesting feature of Samsung Galaxy as several people miss a number of calls or messages in the whole day. S-Beam: For all the users of Samsung S III, this is considered as a very powerful app from Samsung. With the help of this new app, the users can transfer files or data from their phone without using Bluetooth. You just have to put phones face-to-face, and create a bond. This will let you to transfer documents, files, videos, songs etc. without using Bluetooth. AMOLED screen: This new Smartphone is equipped with super HD AMOLED screen of 4.8 inch to enhance viewing experience of the users. You can expect ultrafast response from quad-core processor. The screen will have true colors to provide sheer pleasure for users at the time of watching videos or movies on their Smartphones. 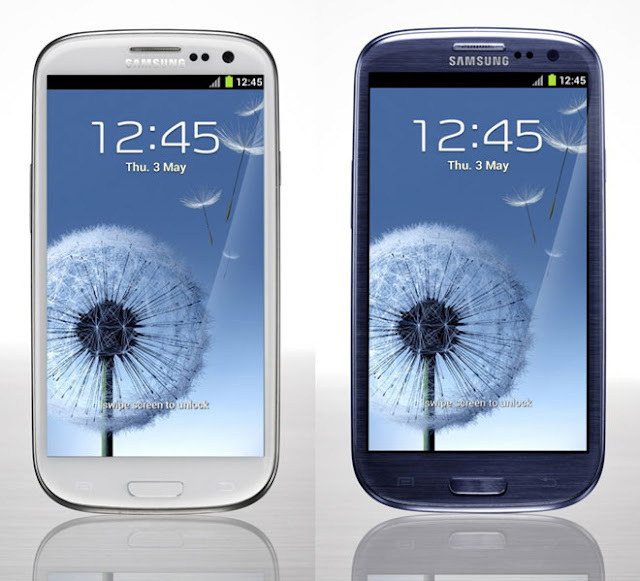 Summary: Above are the new and interesting features that you can expect on new Samsung Galaxy S III. I am Nadine Myrick from Pass Certification; it gives 100% guaranteed success in your IT Certification Preparation exam. Let’s take benefit of CCNA Certification Preparation Exams material efficiently and get guaranteed success. Check out free demo of all certifications Exam.